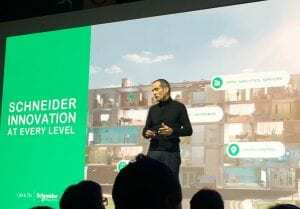 With Schneider Electric hosting its Innovation Summit at the Paris Marathon this week, I thought it would be a great time to share some of my thoughts on innovation at Schneider and the enthusiasm I have for our customers and the company. At Schneider Electric, our philosophy on innovation is driven by some very straightforward principles: make data centers more effective in their use of energy, make data centers simpler to deploy and operate, and make our customers’ business more successful. We don’t innovate just for innovation sake, we have a passion that drives us to solve the big problems facing our customers and our industry. We are not only about driving improvements in our products. 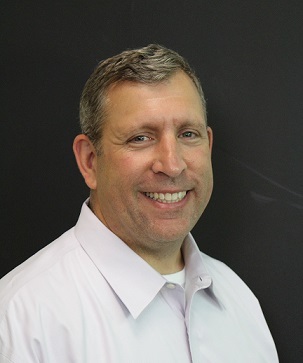 The next wave of data center improvement will be driven by the need for connectivity and using technology to enable our customers to effectively manage inherently complex environments. While in the past we focused on improving the management of one facility, the emerging ecosystem of hybrid cloud computing has shifted the management of your infrastructure into an exercise of managing multiple facilities with virtualized environments. So we are moving beyond just providing the software tools and architectures, but are embarking on what we believe is a new integrated system between IT and OT. This will include the underlying digitized services to simplify the ecosystem and ensure the industry is being responsible with its use of energy. It appears consumers’ appetite for information is insatiable and exponential, yet our resources are limited and precious. Our moral obligation is to ensure Schneider plays a role as a leader to bridge this gap. I believe we are one of the only companies with the portfolio to play this role. With this philosophy, we think the biggest opportunity for the industry has to do with utilizing the vast quantities of data enabled by IOT combined with Big Data analytics as a catalyst for the next wave of innovation. With the emerging technology we are introducing over the next year, we can go beyond just instrumenting a data center and providing data to the data center operator. We can now consolidate millions of data points every minute from multiple data centers and use sophisticated data mining tools to spot trends. Not just in one data center, but in the hybrid ecosystem as whole. When done collectively, we believe we can go beyond data to actionable information. We can make the ecosystem more predictive, proactive, and effective. And simpler. Big Data and IOT are the catalyst. It is up to us to help the industry realize the benefit. We are months away from having data centers securely and anonymously share data with our Big Data tools. Once we have these basics in place, one can easily see a future with true benchmarking metrics, and perhaps true machine learning will not be far behind. And not just machine learning on one data center in one location as discussed by one provider, but machine learning throughout the entire data center ecosystem – where not one company benefits but the ecosystem as a whole benefits. Our vision is to drive simplicity, predictability, and efficiency of the data center ecosystem. And we realize that in order to achieve this vision we must collaborate effectively with the IT providers as well. Whether these are small edge data centers, big colocation facilities, or industrial data centers, we see these tools enabling all these approaches to achieve best in class performance. We have the portfolio, the customer base, the technology, and most importantly the team to make this vision a reality. I encourage you to review our progress we are sharing at our innovation day event. Are we on the right track? Do we have the right vision? I look forward to your feedback. We at Schneider are passionate about leading this change – please come on the journey with us with what I expect to be an exciting few years. Jean Pascal se prend-il pour Steve Jobs ? Definitely, you’re on the right track. Get Nerdio appreciates all these approaches and interested to collaborate with achieving this vision.